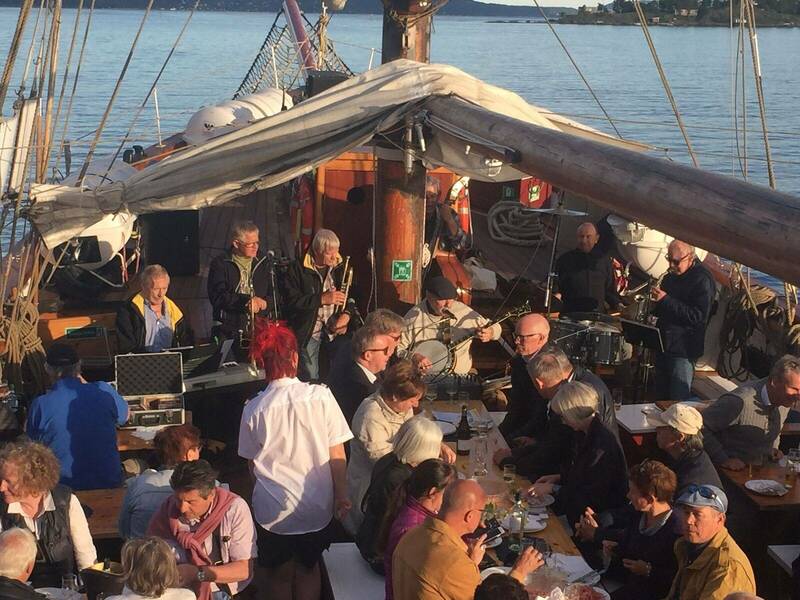 Sailing every Tuesday 19.00 June 26. - Aug 28. 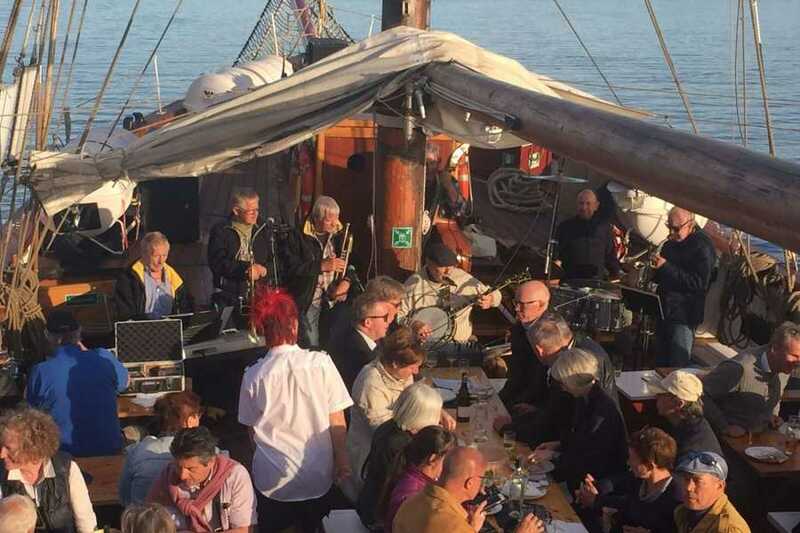 Live music cruise for 3 hour on board a traditional wooden sailing ship passing through a maze of green islands. Sit back on board the boat listening to Dixie jazz and enjoy the scenery and beautiful islands, whilst savoring the fresh flavor of local shrimps. Oslo, with its superb location, offers unique opportunities on and around its fjord which stretches almost into the city centre. Discover the scenery on a traditional wooden boat, fully restored to its former glory. You’ll sail past numerous islands, including Hovedøya and the Dyna Lighthouse, through narrow inlets and into sheltered bays so that you can capture the capital on camera from different angles. During your cruise, a local Norwegian snack of shrimps will be offered, and in the bar we have a wide range of both hot and cold drinks.